After cleaning an air duct system it is very important to maintain the filtration system of your heating and cooling unit (furnace). At Amistee we always recommend replacing and “starting fresh” after any duct cleaning . 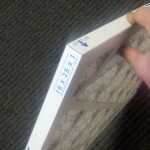 Part of maintaining the filtration system is installing the air filter correctly. 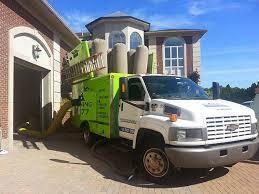 We see time and time again homeowners installing their air filter the improper way or inserting the filter backwards. Here are some simple tips for you to maintain a healthy duct system. Clean your air ducts once every 3-5 years as recommended by the National Air Duct Cleaners Association. Make sure the filter is “tight” in the housing forcing the air to go through the filter and not around the filter through any gaps. Insert the filter with the arrow pointing TOWARDS the furnace. The arrow always goes with the airflow. An easy way to remember this is to keep in mind the furnace is sucking air in (air flow going into furnace) and pushing air out. If you can not remember this use a marker to put an arrow on your ductwork.